An Armagh man who smashed a door window at a hospital has been sentenced to three months in prison. Jason Toal, of Culdee Drive, pleaded guilty to criminal damage and disorderly behaviour at Craigavon Magistrates’ Court on Friday, via videolink from Maghaberry. 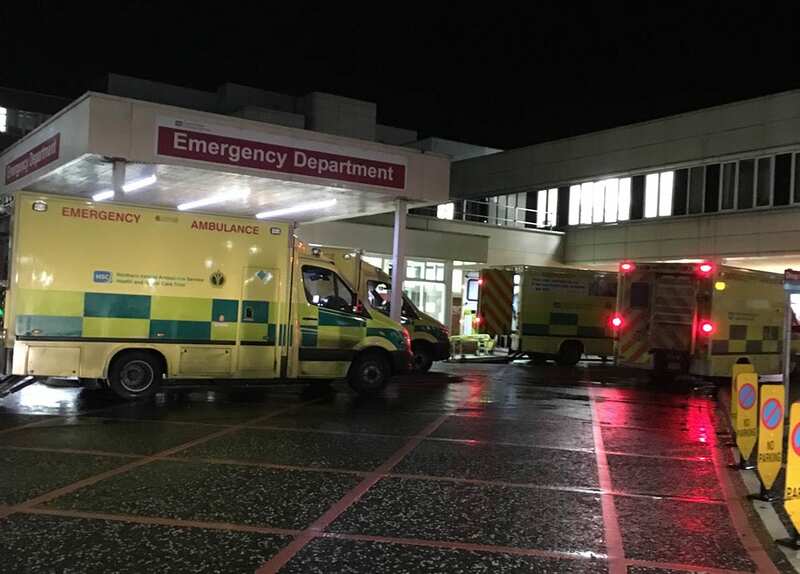 Court heard that on May 1, at around 2.30am, police were at attendance at Craigavon Area Hospital A & E for an unrelated matter. A nurse approached officers to alert them to a male who was intoxicated and acting aggressively towards staff. Police spoke to the defendant who began to shout and swear. Officers continued to try to get the defendant to sympathise with the other patients. Toal then stood up took off his T-shirt, before making three stomps and kicking the glass portion of a cubicle door, shattering it. The defendant then had to be restrained by officers who deployed handcuffs and limb restraints. Officers noted that Toal was intoxicated, unsteady on his feet and very emotional. Prosecution stated that the damage caused came to £316. Mr Coulter commented that the passing away of Toal’s father had led him into depression. Court heard that Toal had been sentenced to 10 months in prison last week for a range of similar offences. District Judge Kelly stated: “It is beyond unfair that all staff at hospitals cannot go about a day’s work, providing health and care without having to deal with you and your ilk. Toal was sentenced to three months in prison and ordered to pay compensation of £316. District Judge Kelly told the defendant: “Mr Toal at the ripe old age of 26 you will not reach 40 if you continue.